LED bulbs technology, by far, has improved to become more compact and efficient. Today, traditional halogens have been completely replaced with the latest range of LED bulbs. LED bulbs manufacturers have worked on the technology to improve features and functions of these bulbs to make them more energy efficient. WSLEDLIGHT brings to you different types of LED bulbs with varied features. 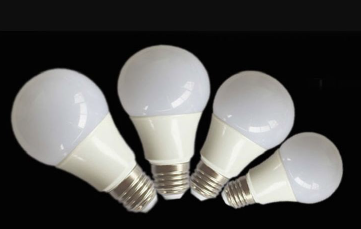 LED bulbs manufacturers have introduced different types of bulbs and lights in all sizes and shape one can expect. The latest in this technology are the LED filament bulbs available in shapes of globes, squirrel cages, golf balls, and pygmy. These shapes are a revelation of the standard bulbs and advanced technologies with no plastic used around the bulbs. It makes them look bright and beautiful regardless of where these bulbs are installed. In addition, the light spreads in all four directions, just like an ordinary incandescent bulb and directly affects the total lumen output because the light isn’t concentrated only in one single direction. There are several cheaper options when it comes to bulbs and lighting lamps. However, you should never settle for the cheaper ones as it will not give you optimum benefits in the long run. Choose LED bulbs from leading LED manufacturers to get the best quality and better bulb life with efficacy. Cheaper bulbs generally fail to work for a long time. So, you should choose bulbs that promise long-lasting results and would give you the value for your money.